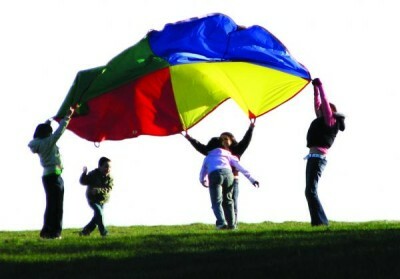 Create fun and games with play parachutes. Made in strong, durable nylon with reinforced grip straps. Great to develop the trust and coordination skills as well as getting children active and having fun! 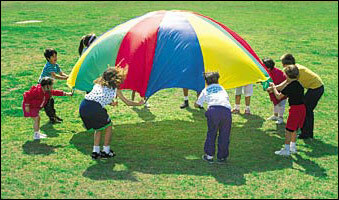 Try bouncing balls and bean bags on the parachute to enhance the fun. 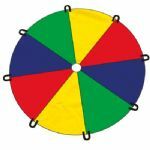 Ideal for kid's parties, family fun, nurseries, primary schools and special needs groups or even a picnic mat! 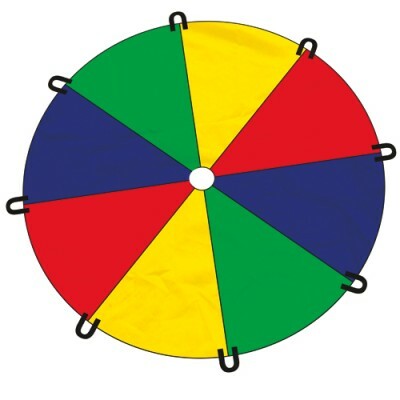 Can be used indoor (large rooms and halls) and for outdoor fun.